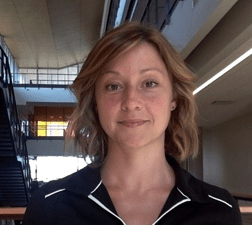 Bard MBA Professor Jennifer Russell has co-authored a major new UN report on the Circular Economy in manufacturing. Entitled, “Re-defining Value – The Manufacturing Revolution“, the report was released at a press conference at the World Circular Economy Forum (WCEF 2018) in Yokohama Japan on October 21st. The full report, summary documents, and supporting materials are all available on the UNEP International Resource Panel website. “Re-thinking how we manufacture industrial products and deal with them at the end of their useful life could provide breakthrough environmental, social and economic benefits, according to new research from the International Resource Panel. If products were re-manufactured, comprehensively re-furbished, repaired and directly re-used, the amount of new material needed could be significantly reduced – by 80-98 per cent for remanufacturing, 82-99 per cent for comprehensive refurbishing, and 94-99 per cent for repair. 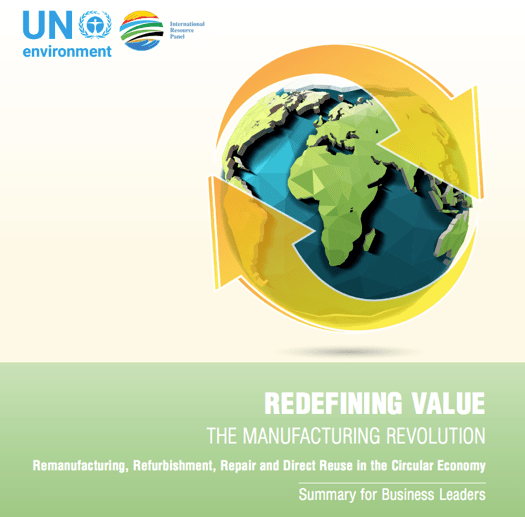 The report released at the World Circular Economy Forum today called Re-defining Value – The Manufacturing Revolution. Remanufacturing, Refurbishment, Repair and Direct Reuse in the Circular Economy, says the adoption of these “value-retention processes” could also reduce greenhouse gas emissions in some sectors by 79 to 99 per cent. These sectors examined in the report are automotive parts, heavy-duty offload machinery (for example, diggers and excavators), and industrial printing equipment. But there is significant potential beyond these sectors for further reductions.